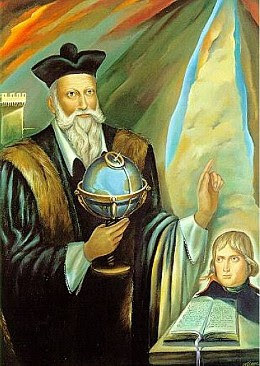 One of the few people we still talk about today is Nostradamus. The man was like Leonardo DaVinci, Francis Bacon and so on, a genius. There are on the internet 2 or 3 good films/ videos available. The video below begins like a 'Hammer House of Horror' film, but still worth watching. And there is a docu about prophecies, not only from Nostradamus but also Mother Shipton and Edward Cayce. I hope you people have again something interesting to watch, I mean the t.v. is getting worst and worst. Thank 'god' there is the internet. After watching Graham Hancock is it very clear that a whole part of our history is missing. The part Plato wrote about; Atlantis! The evidence of a civilization existing 12.500 years ago is growing and growing. Now is it time for scientists to step in. And proof, for once and all, there indeed was a civilization before the end of the Last Ice Age. The scientific evidence is growing so large, it makes the conservative scientific view, that there is nothing older than 6000 years, unsustainable. In part 2 and 3 of 'Quest for the Lost Civilization', and in the following 'Underworld' or 'The Flooded Kingdoms of the Last Ice Age' there is proof of remains of cities under the seas and above who could only have been build before or just after the end of the last ice age. 10.500 b.c. One of the most shocking information was about the Jesuïts on Malta. They are in control of the archeological dig, and are destroying all evidence that does not apply with the dogmas of the church. They destroyed wallpaintings, destroyed about 7000 skeletons of humans who were dug up. They are deliberatly holding back information which is of a crucial kind for the development of the human race. They will create crisis after crisis to keep our minds occupied so we do not look at the importand things. Like the oceans being fished empty, like the forrests being cut down, our air being poluted, the growing gap between poor and rich, and so on, and so on. The cities found under water for the coast of India, Japan and even here in Europe (carnac) are proof there were people before the end of the last ice age, with a civilization of high standard.